산티아고의 쇼핑, 자연경관 지역에서 좋은 위치에 있는 본 숙소(홀리데이 인 익스프레스 산티아고 라스 콘데스)는 바쁜 일상으로부터 꿀맛 같은 휴식을 취할 수 있는 최적의 장소입니다. 이 곳에서 생동감 넘치는 도시의 많은 것을 최대로 즐길 수 있습니다. 본 숙소는 Alejandro Pacareu Galeria de Arte El Bosque, Casa del Habano, Isidora Goyenechea 등과 같은 많은 관광지 및 명소와 가까운 거리에 있습니다. 본 숙소(홀리데이 인 익스프레스 산티아고 라스 콘데스)는 피곤하고 지친 여행자들을 기운 나게 하기 위한 우수한 서비스와 모든 필수 시설을 제공합니다. 본 숙소는 매우 까다로운 투숙객도 만족시키는 다수의 숙소 내 시설을 제공합니다. 홀리데이 인 익스프레스 산티아고 라스 콘데스 고유의 분위기가 모든 객실에 반영되어 있으며, 무선 인터넷, 흡연 정책 - 금연 객실, 에어컨, 책상, TV 등을 이용할 수 있습니다. 본 숙소 투숙 기간 다양한 여가 시설 등을 이용할 수 있습니다. 본 숙소(홀리데이 인 익스프레스 산티아고 라스 콘데스)는 산티아고 방문 이유와 상관없이 아주 신나고 즐거운 일상 탈출을 즐길 수 있는 완벽한 장소입니다. LOCAL TAX LAW Based on local tax laws, all Chilean citizens and resident foreigners must pay an additional fee (IVA) of 19%. To be exempt from this 19% additional fee (IVA) the payment must be made in US dollars and a copy of the immigration card and passport must be presented. The passenger won’t be exempt from this fee when paying in local currency. In case of no show the invoice will be billed in local currency, including this additional fee (IVA). 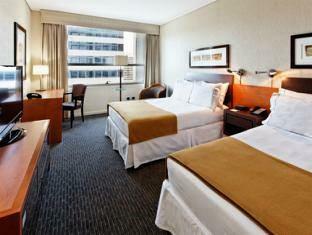 This additional fee (IVA) is not included in the hotel rates and must be paid separately. I have stayed in this hotel on my business trip. Clean, nice! Great location. 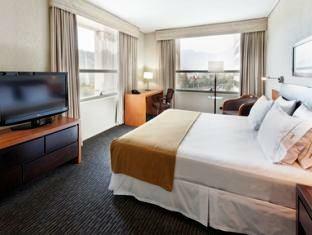 This hotel is in the CBD of Santiago and close to shopping mall. This hotel, like most holiday inn express hotels I've stayed at is a good package. An ok breakfast, realiable wifi, well designed comfortable rooms in good condition. Everything you need for business including free printing. Don't expect porters, bell boys etc - but do you really need these services. Close to restaurants, shopping but a little walk to the subway. Some customer service issues. I booked a transport thru the hotel desk, but staff gave it away to another customer causing me some last minute panic. They weren't apologetic. No major issues encountered but the staff were obviously not consistently or very well-trained for customer service. Some were not very courteous. The hotel was very good, friendly staff, good location! The only thing that we didn't like was the restaurant at dinner, there's no options, only pre made food, you just choose the dish and they pre heat it on the microwave. Distance from town centre but close to a very good metro. 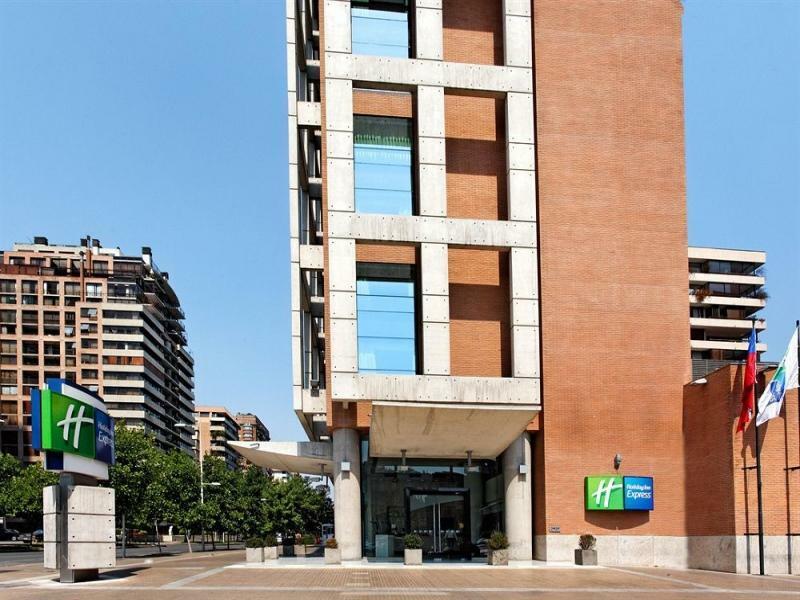 This hotel is the standard you expect from a Holiday Inn Group Hotel. It is clean with a great staff and an even better breakfast. The only downside is distance from the town centre. Having said that it is close to the metro which is clean, cheap and efficient.All in all I would recommend this hotel. Good city view from hotel. Excellent hotel front desk staff - very helpful and friendly. Room with Internet - excellent Room comfortable and it is modernly decorated. Good location as well. Food at the hotel restaurant was not that good. I received a very friendly welcome. The hotel staff are very helpful. I was on a business trip and internet was very important. The internet connection is very good. Room was modernly decorated and very comfortable. The room is clean and quite new. One not so good thing is the food in the hotel restaurant. Maybe it didn't suite my taste. Excelente hotel "bed and breakfast" de calidad superior. Atencion en el mesón rapida expedito registo y salida. Gran amabilidad del personal. La habitacion excepto pequeños detalles fue muy adecuada insonorizada buena cama. Llama la atención el gran televisor de última generación con programa de cable completo. Pequeños problemas en la calefacción de la habitación. El barrio es excelente con restaurantes muy buenos (y caros) a 3 cuadras. SI quiere más servicios no es recomendable pero para buena cama y comodidad es excelente. Algo caro.